So recently I’ve been playing around a lot with our “Server Only” version of the SAP HANA, express edition (HXE). Now with that server only version I am mainly focused on just using more of the Database features than anything else. 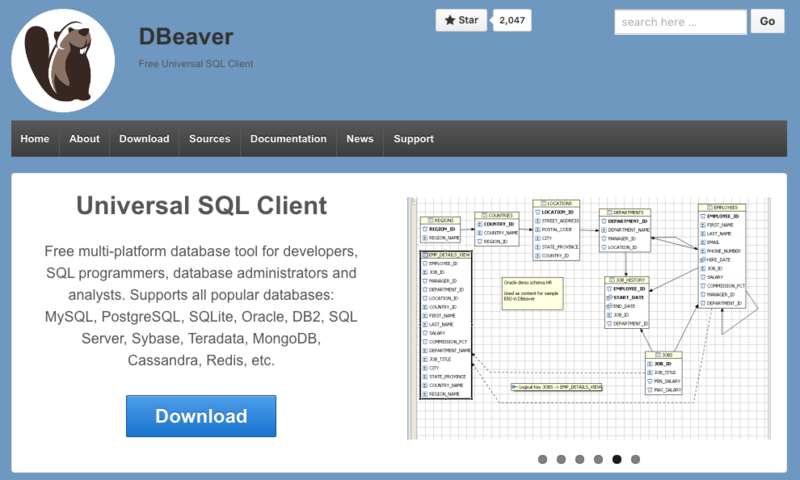 Trying SQL and working with the PAL libraries. With our activities and ability to quickly load HXE into the Google Cloud Platform I also thought how else could I speed of some of my time. I mean I am only working with SQL on some of these things so could I use the JDBC driver and find a tool that would do nicely for it? I was quite surprised by how many are out there and I started playing with a few of them. I’ve now tried a good half a dozen or so and decided that the current one I will play with the next few weeks would be DBeaver. This of course is by no means the “only” choice it’s just one of them, and frankly one of MANY! Couple of things I liked about this one was how quickly I was able to connect to my server as the system already identified SAP databases. 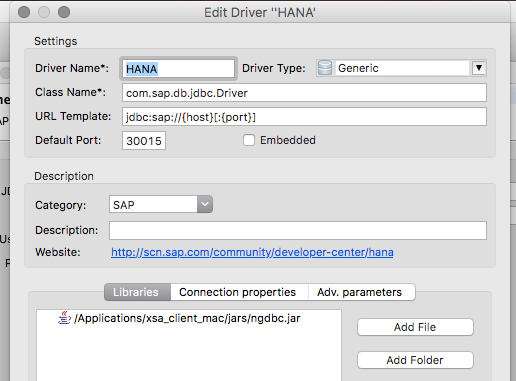 In addition it already had the option to pick my class location for my existing JDBC driver from my “SAP HANA Client” installed (option when you download HXE). Update: The following connection string when editing will allow you to easily add your system and the tenant you wish to connect to. After giving the location of my jar file via the “Add File” option I was then able to tell it to “Find Classes” and be ready to go. Then it was a matter of putting in my connection details. Save it and then view some of my schemas. All in all extremely fast and easy and a perfect one to play with and try out to begin with. 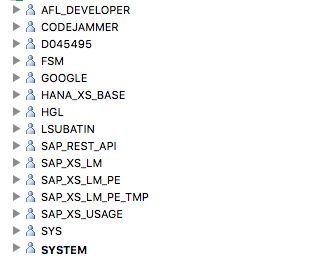 Looks like the “rest of the world” comes mores into the picture now for SAP HANA developers. Good move! 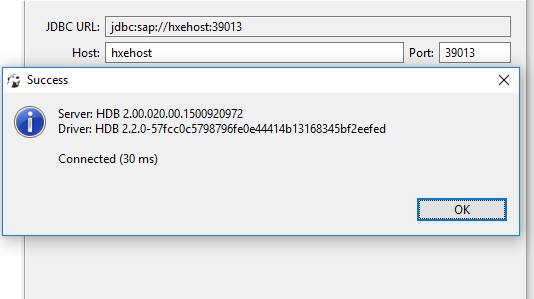 I’ve been using SQuirreL SQL Client for many years with SAP HANA and it’s really nice for developing JDBC connected application as one can dig into all JDBC object properties in a very easy way. Things like implicit returned data types are not visible in the normal HANA Studio output – with proper JDBC tools, these are easy to check upon. SQuirrel is actually the 2nd one we’ve played around with as well. Any tips you’d like to share? Btw my personal favorite is v.16, which looks slightly different than the v.17 (multi- tab) variant, but if you’re new to the tool, you may be less restricted by habit than I am.